Two exceptional Australian choreographers transform light into physical movement that is playful, vivid and highly original in a double-bill performed by Tasdance, Tasmania's passionate and daring dance company. 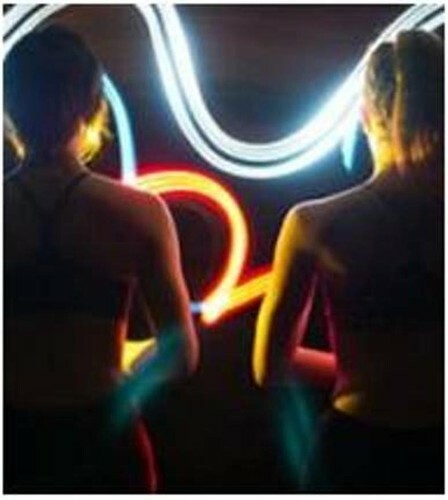 Featuring the works from two of Australia’s shining examples of contemporary dance, Luminous Flux is playing at Riverside Theatres for two performances only on April 5 and 6. This double-bill of very accessible and playful contemporary dance features Tanja Liedtke’ Enter Twilight and the world premiere season of Byron Perry’s Light Entertainment. Enter Twilight is the revelatory and beautiful creation of Tanja Liedtke, Graeme Murphy's selected successor at Sydney Dance Company, which explores the paradoxes that exist within life's rituals; the light, the dark, the virtuous, the evil. While Byron Perry, a bright figure in the national contemporary dance scene, interprets light through mystical, frivolous and pure physicality in his work, Light Entertainment. Tanja Liedtke created Enter Twilight for the company in 2004, before her accidental death three years later. The show was rapturously received and returns by popular demand to a deservedly larger audience, sharing the work of an exciting and tremendously gifted young choreographer. A dancer of great talent and experience, Byron Perry is now one of Australia's most dynamic choreographers. Playing with the theatrically and multiplicity of meanings, Perry’s work illuminated the astonishing talents of the Tasdance ensemble. From its beginnings as Australia’s first dance-in-education company in 1981, Tasdance has grown in stature and has earned a national reputation for the strength, diversity, innovation and accessibility of its Australian contemporary repertoire.